All flowering plants gives fruits. Why does jasmine flower plant not yield fruits? My question is actually my long term doubt. I have seen most of the flowers turning into fruits. But why not this jasmine flower? Flower gives rise to seeds and fruits which are the ways through them the plant distributes the seeds. Here, one should differentiate botanic term "fruit" and general common meaning of the word "fruit" which are not the same. Botanic fruit can be subtle, not fleshy and come as a grain or pods. 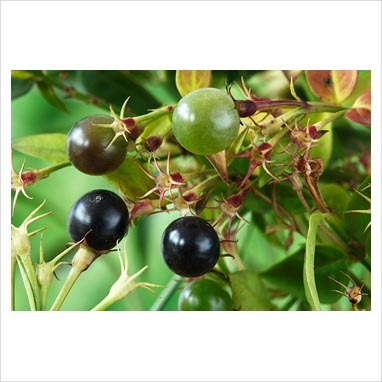 Jasmine fruits are black berries. Genetics - Is this hybridization possible? Do only one or both pairs of homologous chromatids exchange genetic material during the process of crossing over? Problem: What is this pattern of inheritance? How can co-dominant alleles work in flower petals? What genes in a plant determine whether a stem is erect or climbing?